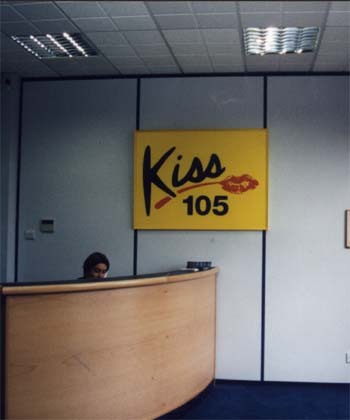 Kiss Fm began in October 1985 as a pirate radio station but the station gained such a large audience in such a short period of time that by 1990 it was awarded a legitimate licence. In early 2000 the BBC gave the go ahead for the opening of more airways for up and coming radio stations and Kiss once again took the bull by the horns and decided to open two new radio stations. Kiss 105 in Leeds and Kiss 103 in Manchester. Our brief was to design and build a complete 2 nr radio station in 12 weeks; this was due to deadlines for opening dates which were set by the BBC. In order to undertake this challenge head on a complete design and build project with the expertise of Paul Astill Associates who were employed by the client to design visuals to give directors a visual of the completed project. This allowed us to procure designs and works immediately on site which ensured a reduced lead in period and the radio station opened on time. The main works included a full design and fit out of the recording and relaxation areas, meeting rooms, a modern and stylish reception area as well as external entrances. The main challenges during the project were due to working in a built up city centre already surrounded by office blocks with existing tenants. Building regulations had to be adhered to and works could only take place during sociable hours as not to disrupt the existing tenants with noise pollution etc. This therefore hindered any deliveries made as they could not be carried out during quieter periods and took place during hectic times in the day where we had to take into account the safety of the public. In spite of all the challenges that we faced, the radio stations were completed on time to a very high standard. Kiss sold out to Galaxy and is still going strong and now operates nationally.